KEY WEST, Florida Keys -- Shipwreck salvors recovered an ancient gold chalice Tuesday, during a continuing search for the wreckage of a Spanish galleon that sank in 1622 off the Florida Keys. 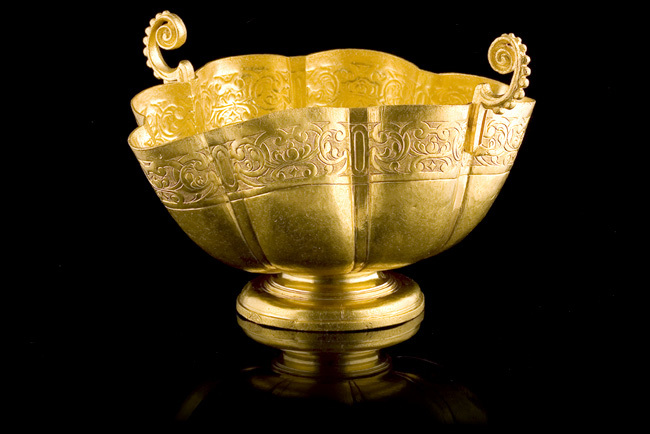 The ornate two-handled chalice stands on a gold base and is adorned with etched scrollwork on the upper portion and salvors estimated its value at one million dollars or more. It was located by Blue Water Ventures diver Michael DeMar beneath about a foot of sand in 18 feet of water approximately 30 miles west of Key West. “It's almost five inches tall and it's large enough to set a softball inside,” said Dan Porter, captain of Blue Water's salvage vessel. 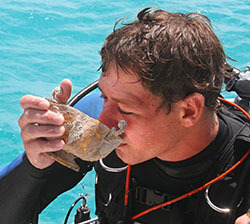 The divers were searching the shipwreck trail of the Spanish galleon Santa Margarita. The chalice, Porter said, was most likely owned by one of the wealthy passengers. The search for Santa Margarita artifacts was begun more than a quarter-century ago by the late Key West treasure hunter Mel Fisher. Today, the Blue Water team is leading that search under a joint-venture partnership with the Fisher family-owned company, Mel Fisher's Treasures. 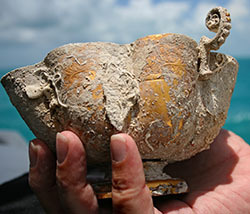 According to Blue Water archaeologist Dr. R. Duncan Mathewson, the chalice was found at the northernmost point of Blue Water's search area, indicating the team is getting closer to the remainder of the lost Margarita artifacts. The chalice is slated to arrive in Key West Wednesday, where it will be transferred to the Fisher conservation laboratory, to be cleaned and its whitish encrustation removed. Experts hope the cleaning will reveal more details of a crest etched or engraved inside the bottom of the piece. Please see the official press release on Blue Water Ventures Key West's website.